Within the world of Wodehouse, Rupert Psmith (the P is silent, like the tomb) has always been my favorite character. 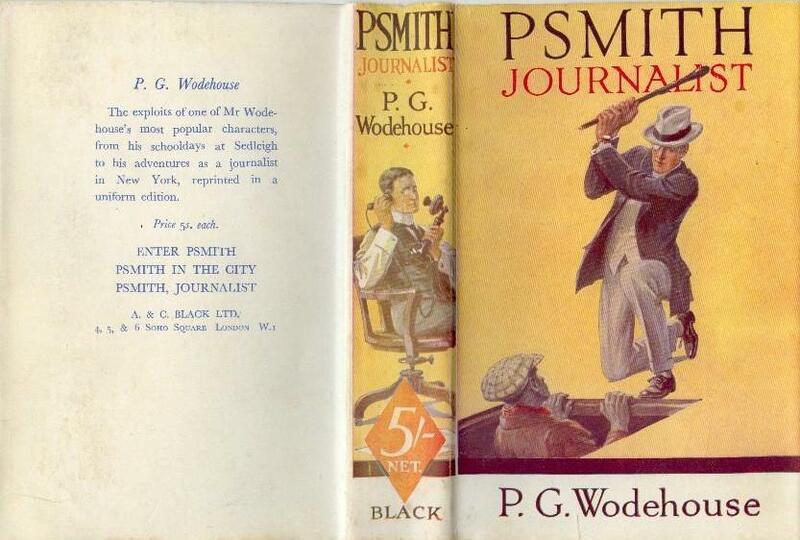 Although Psmith is an adolescent, he is actually Wodehouse’s first adult character. With Psmith Wodehouse moved from the boy’s stories he had been writing into the adult comedies we now know and love such as Jeeves & Wooster and the Blandings stories. But Psmith was the first, and in my mind the best of his creations. Unlike Bertie Wooster and the Blandings crowd, Psmith is in no way a bumbler. He is very astute and sure of himself, and with good reason, since he is more clever and sly than anyone else around him. Psmith is such a forceful character that he starts as a sidekick to his school chum Mike, who is actually the main character in the first novel, which is really a boys story centered on cricket at the fictional public school of Wrykyn. Mike is quickly shunted to the wings (which in Wodehouse means he gets engaged and then married) in the successive stories until in the last, Leave it to Psmith, he makes only a cameo appearance for old times sake. With his immaculate wardrobe, his monocle, his money, his clubs and his mode of addressing everyone as “Comrade” coupled with his machine gun delivery of witty dialog, I find Psmith impossible to resist. Many name Leave it to Psmith as their favorite Psmith novel, but it is my least favorite book. In it Psmith has been stripped of everything that made him Psmith. Without his riches, which allow him to do as he pleases, Psmith loses some of his allure. Psmith, like Bertie, is not funny as a poor man. Although Psmith only appears in four novels, the last being a Blandings novel, he does seem to reappear later in the form of Uncle Fred, who for all intents and purposes is a grown up Psmith. While at Cambridge, Mike and Psmith take a trip to America over a summers holiday. Mike to play cricket for England and Psmith brings yellow journalism to New York City as he helps acting editor Billy Windsor change the image of Cosy Moments magazine and they are stalked by gangsters when their expose of slum tenements angers an unscrupulous landlord. 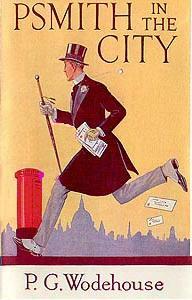 Mike spends almost all of this book offstage playing cricket during Psmith’s adventures in NYC. The Hon. Freddie Threepwood is to make his debut as a jewel thief, but is not alone. 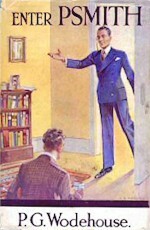 Blandings is brimming with criminals and imposters, all intent on stealing Aunt Constance’s diamond necklace. It is left to the debonair Psmith, with his usual aplomb, to defeat the efficient Baxter and to discover the identities of one and all. Mike, married and working as the estate manager for Psmith’s family, loses his job when the Psmith fortunes turn south. He becomes a school master and makes a cameo appearance early in the novel. A funny book, but a penniless Psmith is just not the same. Psmith becomes engaged at the end of the story which we all know means the end of Psmith. Wodehouse does note in his introduction that he is sure that Psmith read for the bar, took silk and became a famous judge. All of these novels are available in an omnibus edition as well. Highly recommended if you have not yet met Psmith. And if you have not…Why not? This entry was posted in Lit and tagged Psmith, Wodehouse by Sir Edward Percival Fox-Ingleby, Bt. Bookmark the permalink.